Sweet and nutty, YES. I must have copied this recipe out of an old church potluck cookbook, because I cannot find the source, and my penmanship is dated. I can’t be the only one with personal font phases. In any case, the PayDay bar seems to be the beginning in the progression of “energy” candy bars (followed by Baby Ruth, then maybe Snickers?). 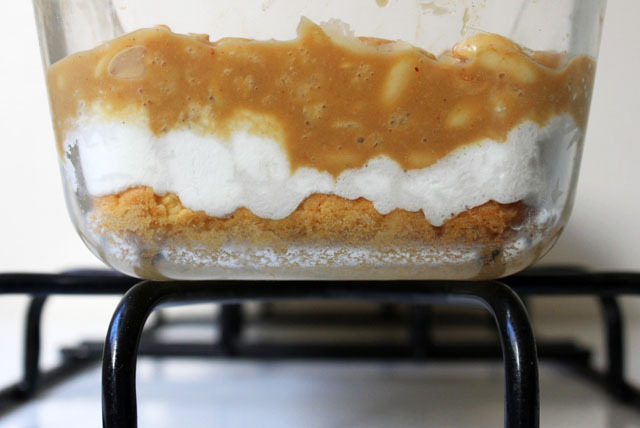 But it’s definitely dessert, and this bar recipe is all kinds of sweet, salty and easy. Mix 1 box yellow cake mix, 1/3 c softened butter, 1 egg. Press into an ungreased 9×13 pan. Bake @ 350-degrees for about 12 minutes. 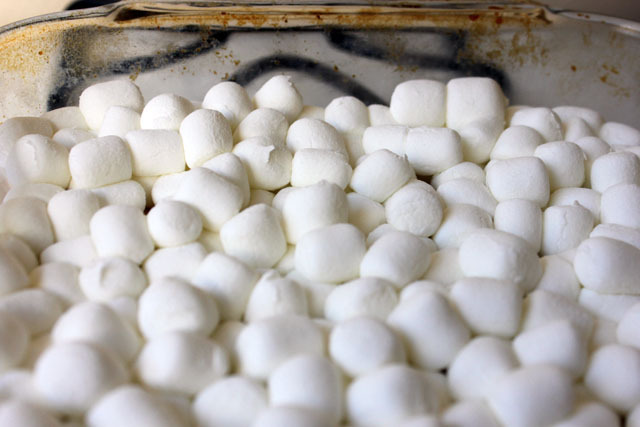 Toss 3 c mini mallows over the top and return to oven for 2 minutes. 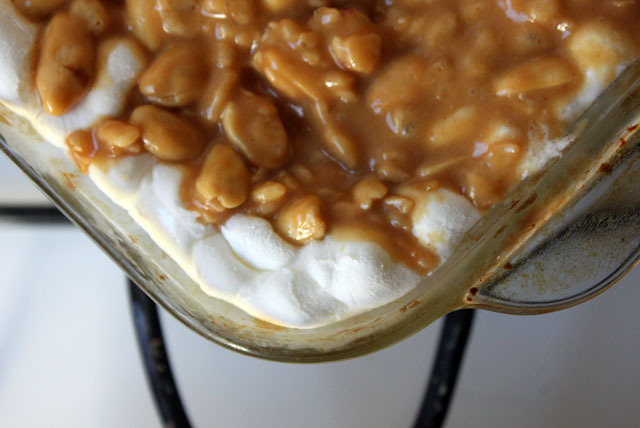 Heat on low stovetop 2/3 c light corn syrup, 1/4 c butter, 2 c peanut butter chips till melty. 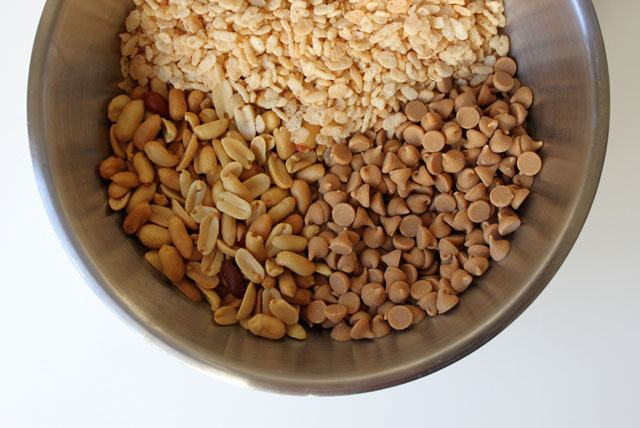 Mix in 2 c salted peanuts & 2 c Rice Krispies. Spread over cake & mallow layers. I have a nearly identical recipe from my Aunt Kit, but the bottom layer is more of a shortbread and doesn’t involve cake mix. The sweet/salty chewy/crunchy combination is pretty much like crack; once people start eating these, they can’t stop! Aunt Kit! I will make a new footnote on my recipe card with your facts 🙂 It’s true, I have not met someone who didn’t like these, but the jury will be out tomorrow when I bring the rest in to the library. 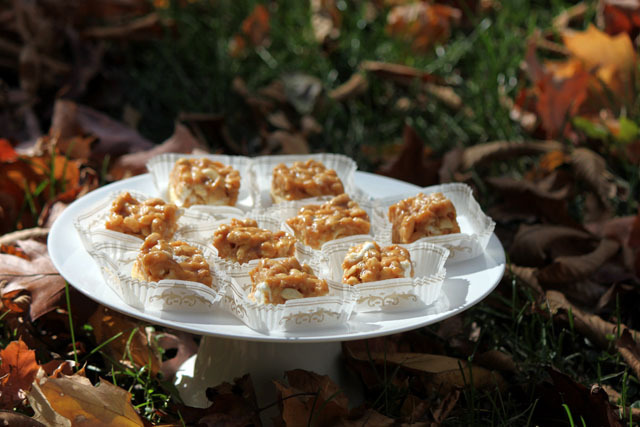 nice catch… I don’t own a 9×13, so I used and 8×8 and a loaf pan! I made these last Christmas and took them to Pittsburgh to one of Amy’s cousins family. They LOVED them! I used butterscotch chips instead of peanut butter and it was great!